A lifetime of liquor for just over $1,000? A Chinese liquor company is selling a lifetime supply of baijiu, a Chinese liquor, for just 11,111 yuan ($1,673). 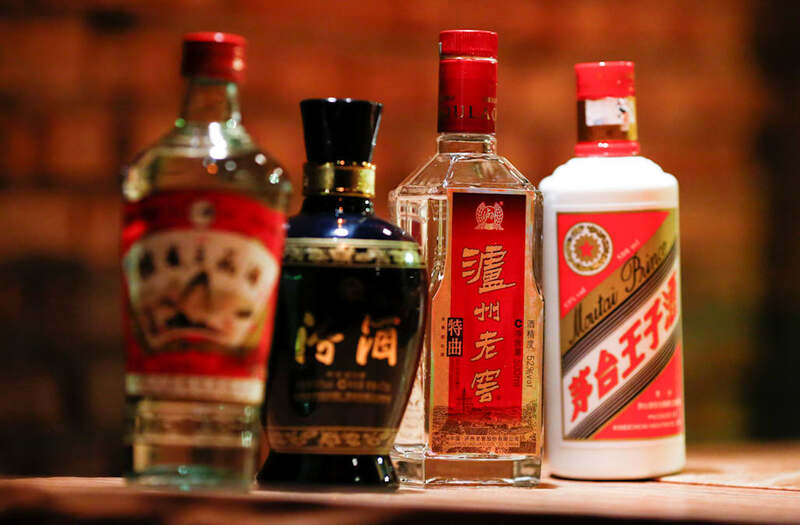 According to Jiang Xiao Bai, the company, its promotion is limited to the first 33 customers, who will receive a carton of baijiu — which contains twelve 100ml bottles — every month, until their death. If they do pass on within five years of their purchase, the alcohol supply can be transferred to a family member. The sales stunt is part of the upcoming Nov. 11 Singles' Day sale in China — otherwise known as the country's world's biggest sales event, selling out Black Friday in the U.S. over three times last year. Jiang Xiao Bai is running its sale on Alibaba's Tmall platform, which caters to brands that want to list officially on the e-commerce site. It's worth noting that baijiu isn't your regular corner store liquor. Baijiu, which literally translates to white liquor, has an average alcohol content of 52 percent. The Chinese beverage is usually made from sorghum, wheat or rice and is usually drunk as a shot in China. Jiang Xiao Bai's supply of liquor however, does contain a lower alcohol content than traditional recipes, at 40% — a figure that still rivals most hard liquors. The company's packaging also shows that it's marketed towards a younger audience. According to Jiang Xiao Bai, its "lifetime liquor" package usually retails for 99,999 yuan ($15,057). Each customer who takes up the package is awarded a certificate, which states that they'll receive a 100ml bottle twelve times a year. The certificate also states that customers will be allowed a full refund if the company fails to deliver. But Chinese users on social media were skeptical about the deal. "Yeah right. I bet the company's going to go bankrupt," one user on Weibo said. "Good marketing. I bet the liquor tastes bad," another commented. "I don't think I'll survive more than four years if I take up this deal," one chipped in. "Is this really wine? Are you sure they haven't filled it up with water?" another added. A Beijing lawyer, Chang Sha, told news outlet The Paper that the contract was legal, but there was a "risk" involved. He warned customers that the contract could be cancelled if the company went bankrupt. According to Jiang Xiao Bai, they've already sold 19 such packages in the past. "I've bought the package. Let's hope they keep their promise," said a previous comment on the firm's Tmall page. Another commenter from 2016 posted a picture of the package he had received as proof. Singles' Day is China's answer to Black Friday — on a way bigger scale. Nov. 11 first started as a day for singles to celebrate and party with friends, as an answer to Valentine's Day, of sorts. But with the help of e-commerce giants like Alibaba, the day quickly turned into an online shopping bonanza. In fact, the shopping festival was so well received, Alibaba decided to stretch its promotional period from 24 hours to 24 days in 2016. Black Friday in comparison, drew $3.34 billion last year. "Alibaba's Singles Day [will] no doubt hit another record in sales this year, as the Chinese online giant [continues to hold it over] a 24-day shopping bonanza," Andria Cheng, an analyst at eMarketer Retail, told Mashable. Singles' Day is less than 24 hours away now, so have your wallets at the ready.